In honor of National Clean Out Your Fridge Day, here are a few tips that will help you to keep your fridges and freezers organized and more efficient, while also preventing cross-contamination and expiration issues to minimize food waste. Keep your meats low. To prevent meat drips or spills from contaminating other foods in your refrigerator, place your meats on the lowest shelves. Store raw meat, poultry, and seafood separately from prepared and ready-to-eat food. If these items cannot be stored separately, store them below prepared or ready-to-eat food. 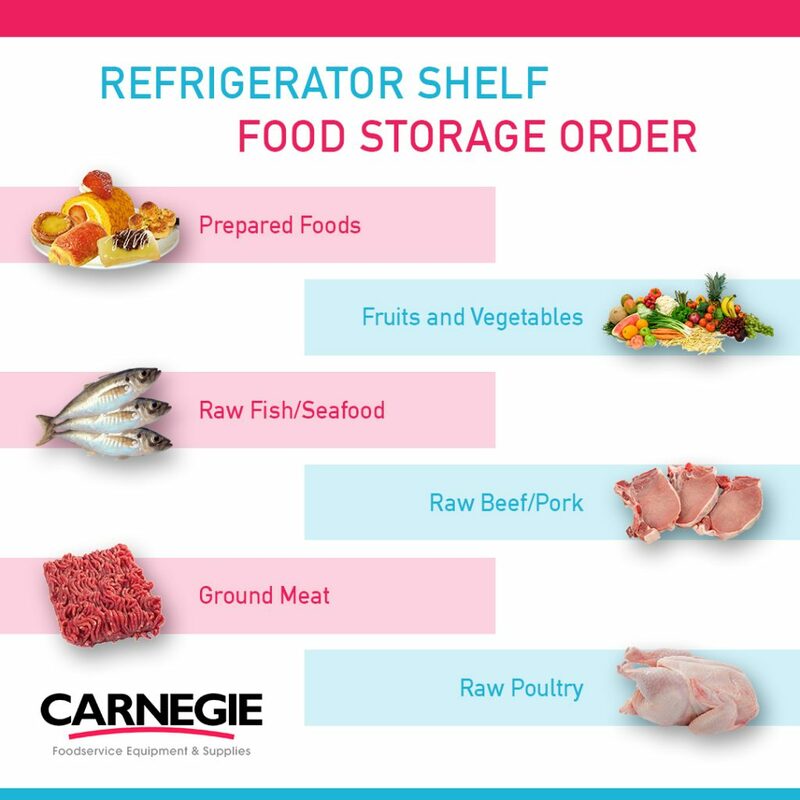 Raw meat, poultry, and fish should be stored in the following top-to-bottom order in the refrigerator: ready-to-eat foods, raw seafood, raw whole meats, raw ground meats and raw poultry. Space it out. Your fridge and freezer need to have room to breathe. The best refrigeration comes when a fridge has about 4 or 5 inches of space between the walls and the food. It’ll prevent uneven cooling and warm spots.